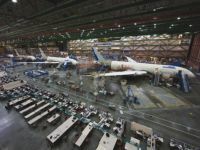 Boeing has been very quiet regarding the latest certification and delivery dates on the 787 since the nearly disastrous electrical fire on a test aircraft in November. Jim McNerney, Chairman, President and CEO, now has been on American TV and was still not able to give a definitive answer to the question that lead customer ANA and the air travel community was waiting for. 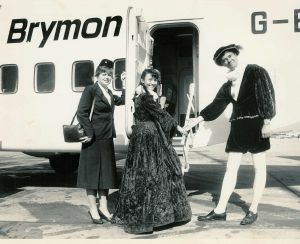 bmibaby is to introduce a George Best Belfast City Airport to Stansted service from the start of the summer season on 28 March 2011. Flights will operate three times a day from Monday to Friday, with one service on Sunday. easyJet flies four times daily between Belfast International and Stansted. Parent company British Midland (BMI) competes from Belfast City to Heathrow whilst Flybe has services into Gatwick. Planning permission has been given for a new hotel at Bristol Airport. The 251-room property hotel will be located close to the terminal building and is designed to be eco-friendly, minimising the consumption of energy, materials and water through the selection of construction materials and technologies that lessen site wastage and that are locally sourced wherever possible. An internationally recognized hotel brand will be selected over the course of the next few months, in partnership with the developer, Pedersen Airport Hotels who already owns three hotels in Bristol – the Novotel on Victoria Street, the Mercure on Welsh Back and the Ibis at the Temple Quay. AirAsia X, the Malaysian-based long haul low fare airline, today is to introduce a route from Kuala Lumpur to Christchurch (New Zealand). 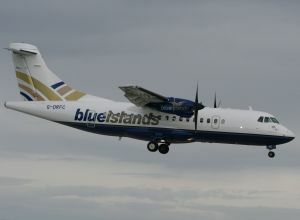 Starting 1 April 2011 the airline will fly four times weekly. 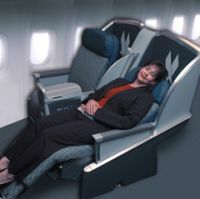 Operating on the route will be a two-class Airbus A330 featuring the airline’s amidships premium flat bed cabin with its 20” width, 60” pitch seats, stretching out to 77” in the full recline position. These feature universal power sockets, adjustable headrests and built-in personal utilities including tray table, drink holder, reading light and privacy screen. On the 1 January 1 2011 Estonia becoming the latest country to adopt the Euro. 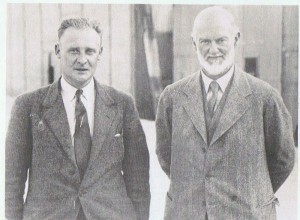 How the problems of Greece and Ireland affect its arrival remains to be seen, the change of currency planned for some time. 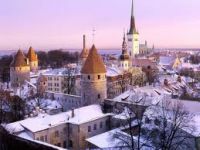 Coinciding with the new financial arrangements Tallinn, the capital, joins with Turku (Finland), as one of the two European Capitals of Culture next year. To welcome the Capital of Culture year the city will host an opening ceremony and music festival, centred around Theatre Square on 31 December with fireworks at midnight, lighting up the city's coastal location, the port a popular summer cruise destination. Amman (Jordan) is the notable destination in a whole host of new services to be introduced by easyJet at Gatwick next year bringing its total destinations from the South London airport to 92. The airline will boost its Gatwick-based fleet by four aircraft to 46. 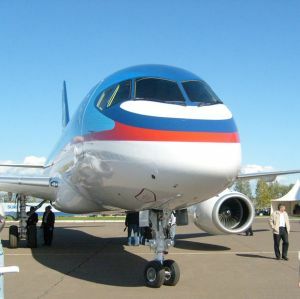 Overall the airline is increasing capacity by 13%. Next year easyJet will be operating 551 routes between 129 airports across 30 countries. 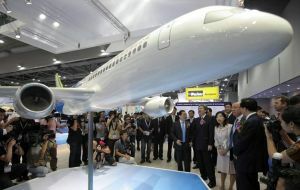 Already the largest operator at the airport, the airline plans to start six routes in 2011. New are Aberdeen, Bologna (Italy), Izmir (Turkey), Seville (Spain) and Verona (Italy) as well as the Jordanian capital. easyJet becomes the first ex-UK low cost operator to fly to the country. A tourist boom is likely to follow as well as attracting other budget airlines. Dusseldorf has a new 5-star hotel, the Hyatt Regency, which opened last week. Situated in the heart of the trendy Media Harbour area it is located in one of two newly built 19-storey towers at the tip of the peninsula. A pedestrian bridge connects the hotel with the opposite side of the harbour. With its central location close to the international airport, and the most important exhibition and conference centres in the city, the hotel will attract business and leisure travellers. The hotel is not quite complete but all the 290 guestrooms are available. The Dox Restaurant, including its bar and sushi bar, a fitness centre, and the hotel’s meeting rooms and ballroom are also open. 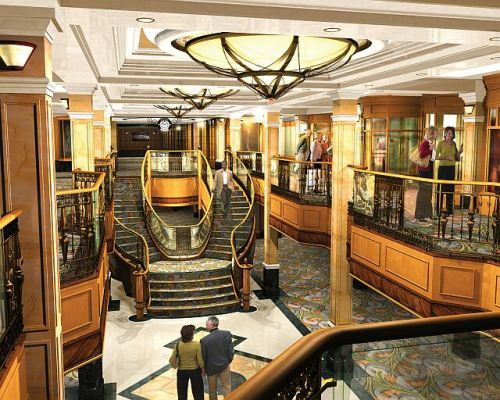 Additional services and amenities expected to be finished by mid-February 2011 include the Regency Club™, Rive Spa, the hotel’s premier suites, and Pebble’s restaurant. Recaro the seat manufacture is busy. Lufthansa has confirmed that it is installing some 32,000 new seats on more than 180 aircraft in its short and medium-haul fleet – within the space of just one year. Thanks to the new, ergonomically shaped seat with its slim backrest, passengers will now have more than four centimetres extra legroom and more hand luggage storage space. The airline benefits too, Lufthansa is able to increase capacity by about 2,000 additional seats, the equivalent of 12 Airbus A320s. Business Travel Market (BTM), the conference and exhibition for European travel buyers at London’s ExCel, has announced changes to its management team. There are three new appointments: Neil Simpson joins as Sales Director in January from Centaur Media where he was directing their Travel Technology Show. Nikki Stimson, has already taken up the role of Marketing and Partnerships Director, expanding her short term contract involvement in BTM into a permanent role and Judit Mora has been appointed to a Sales and Administration Support position. Loraine Holdcroft continues her role as VIP Hosted Buyer Programme Director for a third year. The Operations continue to be looked after by Anna Anson of IQ Events. 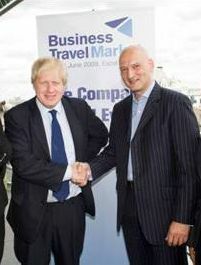 Mark Harris of Travel Intelligence Network has left following the completion of his contract. Business Travel Market took place for the second time in 2010, when buyers from 20 countries with a collective travel spend of over €15bn, attended 2,500 pre-arranged meetings. If you are thinking of a family trip next spring or summer Disneyland Paris is to be highly recommended. Yes it is in one sense very ‘plastic’ but it can be combined with an opportunity to use Eurostar, visit the capital of France and pick up some culture, and make the most of the chance to utilize the French being taught at school. It is fully open over Christmas and the New Year too, with some excellent special attractions closing at one in the morning on 1 January. 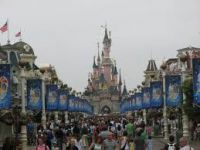 Since its opening in 1992, Disneyland Paris has established itself as the leading tourist destination in Europe, welcoming more than 215 million visits. 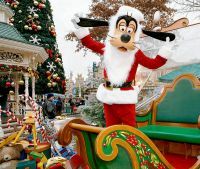 Disneyland does not have to be expensive and in fact the park entrance fee is good value when, for instance, compared to 90 minutes at a Premier Division soccer match. Booked well in advance Eurostar is also realistically priced and (except for the Disneyland Hotel sited at the entrance) the hotel costs are reasonable. AERBT stayed at the Radisson Blu with a courtesy bus service, a fine breakfast and internet included in the package plus an indoor swimming pool. Paris is an easy RER ride away with its attractions and can be in itself part of the trip. Visitors choosing to come by car will find countless lodging offerings at all price ranges. Eating in the park can be very expensive. These days Disney does allow one to bring your own food and provides plenty of covered space for informal consumption. The many food outlets provide wholesome grub in quantity (and some fine dining too if you look for it). Once you have paid for your travel, accommodation and entrance you need not spend another penny. But that will be something of a struggle. 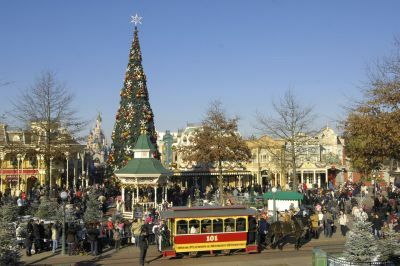 Disney at Paris is two adjoining theme parks connected by an eating area and other leisure activities called the Disney Village. You can view the whole scenario by taking a ride in a tethered balloon. The Disneyland Park itself is recommended for a minimum of 1½ days and the Walt Disney Studio Park for a half day. Two nights minimum. Someone a long time ago coined the expression “The Magic Kingdom” and it certainly is, for youngsters from five upwards (with the record age for a visitor of 106). It is best to keep away from the French school holidays when the queues can be horrendous. For some of the more popular rides you can sign up early in the day with “Fast Pass” and then come back at your allotted time. Patience is the one virtue that is required at Disneyland and getting your timing right. It is perfect for children. If you are really tired take the Disneyland Railroad and stay on for a second circuit. Don’t try and get on at the Town Square station, the more distant stations are less busy. Arriving at Disneyland Park wander down Main Street and get in the mood for the place. You may be lucky and there is a parade going on. 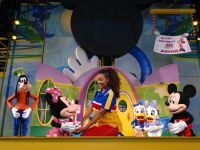 Mickey, Minnie and their friends will be around to entertain you. Make your way to the Central Plaza and then decide. Your choice is Adventureland, Frontierland, Fantasyland and Discoveryland. The names more or less described what they offer. Adventureland is just that, and is clearly for the most part designed for the more thrill engaged types and those who with some rides (Indiana Jones) should not wear toupees or indeed enjoy upside down trips. 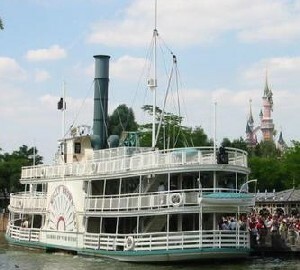 Frontierland includes “Big Thunder Mountain” and a leisurely ride on a massive sternwheeler across the Disneyland lake. For the younger people Fantasyland includes “Peter Pan’s Flight” and the ever popular “It’s a Small World”. “Le Theatre du Chateau” is a good place to sit down. Look in the programme for the show times. You will not have a language problem. 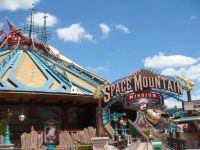 Finally “Discoveryland” has the ever popular “Space Mountain”, a chance to drive your own car in “Autopia” and “Star Wars” a space flight simulator for an intergalactic excursion into the Star Wars galaxy. The park normally opens at 10:00 and goes on (in the summer months) until 23:00 and sometimes later. Not so the Walt Disney Studios which closes much earlier. Without doubt the best offering at the studios is the “Back Lot Studio Tram Tour” a fascinating trip showing just how some of the great films of the past were made in the days before digital production. It can get hot in places and it is easy to get splashed. The “Back Lot” is full of surprises. If it is stunt driving you want to see the “Motours” spectacular is a 45-minute show in a specially built stadium. And yes you will be caught out in the way it is done. The Walt Disney Studios is once again divided into theme areas, but the walking is much less and there is plenty of time to relax in the “Animagic” show where a host of Disney characters produce a host of songs from unforgettable films since Snow White and the Seven Dwarfs of 1937. Produced today it would probably be banned as politically incorrect. BBC Three Counties Radio, usually called 3CR, and based in Luton, is probably not known to our international readers. Nor probably outside the three counties of Bedfordshire, Buckinghamshire and Hertfordshire after which it is named. Last Saturday the station produced a quality piece of broadcast journalism, which does show for all the (sometimes justified) criticism it comes in for, the BBC has an in-depth quality not really apparent elsewhere. Normally the Saturday sports programme starts at 14:00 and runs through until 18:00. On this particular occasion the local soccer team playing in the Blue Square Conference (that is Division 5 of the English league for those that don’t know) had been told by the police to kick off at 12:00. It was an early start for the radio people and everyone else. In spite of deteriorating snow and ice conditions the match began in front of more than 6,000 spectators (including 200 hardy souls from York). Soon after half time the referee had no choice but to abandon the game with a blizzard descending upon the ground. Getting out of Luton was difficult but once on the M1 it was chaos, all five lanes virtually at a standstill, a 30-minute journey taking 8½ hours. The redeeming factor was 3CR. 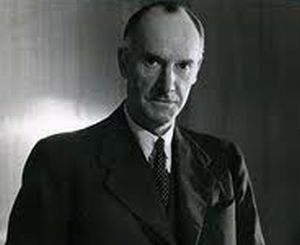 For all that time the radio station kept up a continuous banter of news and information, helped considerably by its (very good spirited) listeners, who phoned in and text becoming the eyes and ears of all. Luke Ashmead, the sports anchor man, became the snow and ice anchor man, plus a whole team of BBC ‘volunteers’. Amazingly the station did not rely on pre-recorded music after each piece of news and was very much aided by valuable contributions from the public via their mobile phones. We learnt of some poor soul whose car had spun in the middle of the M1 going north and was eventually told by the authorities that he was number 30 in the queue. 3CR did its public duty, announced the situation and demanded action. The M1 was then blocked going south and it was a passenger going the other way who informed the BBC and the world what was going on, not the Highways Agency. A Simply Red record was found for a would-be attendee for the group’s last ever concert at the O2 stuck on the M1. And well done to those local council people who did make themselves available for comment and questioning. There is a lesson to be learnt from the mayhem. The idea of radio people in a studio and looking at strategically located cameras to inform on the state of a road is fine but what is needed on these occasions is for experienced press officers to be sited in the road control rooms, passing on information to the news media. Drivers out on the road want to know what is going on. It is very frustrating sitting behind a wheel in a stationary vehicle feeling utterly frustrated. The airlines (or at least some) have learnt that lesson and Heathrow in particular has been very good over the great freeze in keeping the media (and hence the public) well informed. Even London Underground now informs you via loudspeakers that you will be stuck in the tunnel for ten minutes! AERBT does not know what time 3CR finished its special broadcast. Yes there was a hotel next door to accommodate the broadcasters and presumably it has a bar. But very well done. You kept at least one listener (very) happy. 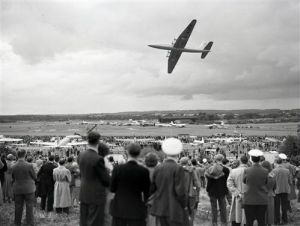 Can we take this opportunity of wishing readers and contributors all the best for a happy and healthy 2011. We will be back on 10 January next year. 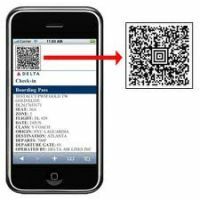 The International Air Transport Association (IATA) has announced a historic milestone in passenger travel with the 100% worldwide implementation of 2D bar coded boarding passes (BCBP). These replace the previous generation of more expensive and less efficient magnetic stripe boarding passes. The completion of the industry project gives passengers greater choice in checking-in at home, at a kiosk, on a mobile device or at an airport check-in counter. BCBP also allows airlines to issue a single, printed boarding pass for multiple flights, simplifying the journey for passengers with flight connections or those travelling on different airlines. Moreover, BCBP opens the door for automated access to premium services. For example, with a scan of a BCBP, eligible passengers can access fast-track security lanes or lounges. British Midland International (bmi) has unveiled a new logo and visual identity to help strengthen its brand. 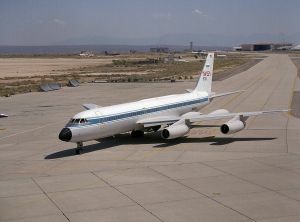 It has been said that Lord Bishop, the airline's former majority owner, was never keen on the remodelling of the old BMA which took place in 2001. 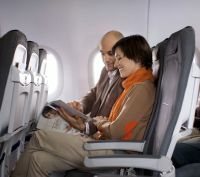 The airline undertook a strategic review of its brand when it became part of the Lufthansa family last year. 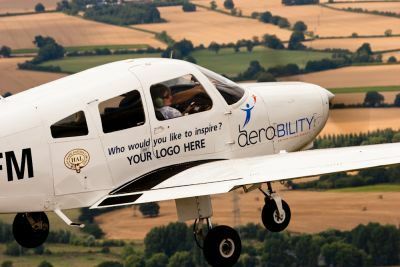 The new logo offers bmi a much stronger identity by using the full name of British Midland International, rather than just bmi. 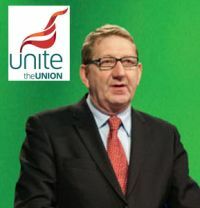 2011 is turning into another 2010 with strike threats from Unite, the trade union representing cabin crew at British Airways. 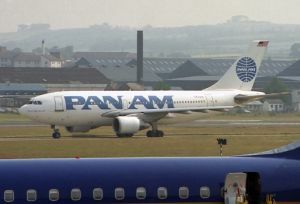 In a statement last week it said it would ballot members over fresh industrial action in a dispute that has so far cost the airline £150m and much goodwill with the travelling public. BA said it had drawn up contingency plans that would allow it to operate a "substantial proportion" of its short haul flights, and all of its long haul flights, at Heathrow airport in the event of another strike. 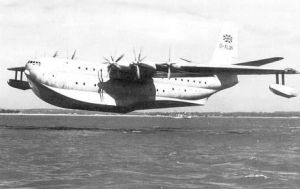 Services at Gatwick and London City would be unaffected. The ballot will begin on 21 December and end on 21 January. Action could take place from seven days of that date. 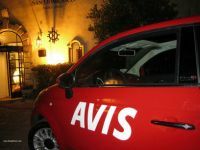 Avis has issued figures showing that 40% of the fleet is now diesel powered, a doubling of the numbers over the last five years. Typical is the Jaguar XF from the Avis Prestige Cars brand. The vast majority of UK sold vehicles by the now Indian owned company have a 3.0litre turbo diesel unit. British UK marketing and communications manager for Avis is Darren Peacock. “Thanks to their greater fuel efficiency it is no surprise that we have seen a significant increase in the demand for diesel cars over the last few years. As a result we have doubled the amount of diesel cars on our fleet during the last five years and we look to increase this by 15% in 2011”. Sofitel, last week celebrated the opening of three new properties just in time for the holiday season; the Sofitel Vienna Stephansdom (Austria); Sofitel So Mauritius; and Sofitel Phnom Penh Phokeethra (Cambodia). The 182-room Vienna hotel, located along the Danube Canal will become the brand's flagship property in Europe. Each of the hotel's façades is a different monochrome shade, creating the effect of a life-size piece of abstract art, which constantly changes to reflect the shifting colours of the Vienna sky. Sofitel So, the latest brand from Sofitel Luxury Hotels, makes its mark located on the island's less developed South Coast, offering 92 individual suites and villas carefully positioned in the natural landscape to take advantage of the lush gardens, the natural lagoon and views of the Indian Ocean with access to the resort's own beach. Ryanair has blamed the new German airport tax for a decision to axe 34 routes from its schedule next summer. Flights from Liverpool to Bremen and Birmingham to Dusseldorf are among those to be scrapped as a result of Germany’s €8 (£6.79) tax on flights, which comes into effect at the start of January. 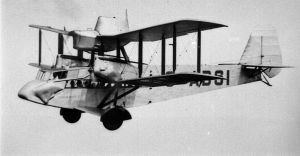 Four routes go from Berlin, eight from Bremen, 13 from Weeze and nine from Hahn. 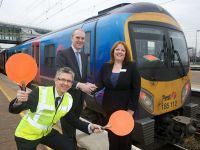 Travelling to Liverpool John Lennon Airport is now easier for rail passengers from West and North Yorkshire, following the start last week of a new service calling at nearby Liverpool South Parkway station. For the first time, trains run by First TransPennine Express now link Scarborough, York, Leeds, Huddersfield and Manchester direct with the station. The train station itself has a dedicated airport bus service every 20 minutes, which operates door to door, taking passengers from the entrance to the front of the airport terminal in just ten minutes. To make travel as simple as possible all-in-one discount tickets, including rail travel with First TransPennine Express and transfer on the Airlink 501 bus to the airport, will be introduced. Doha is shortly to open a hastily built dedicated arrivals terminal at its existing airport. The New Doha International Airport, 5km east of the current operation, is now scheduled for completion in 2012, at least three years behind the original schedule. Features of the new Doha Arrivals terminal include an increased number of baggage belts, more immigration counters, Duty Free retail shopping, bus and taxi stands, and an enlarged meet and greet waiting area for those receiving passengers at the airport. Frequent shuttle buses will provide passengers who have parked their vehicles at the Main Terminal – which will be renamed the Departure and Transfer terminal – with transport from the Doha Arrivals terminal on their return. The British ultra-low carbon car market has received a boost with the announcement by Government of the first set of vehicles eligible for the new ‘Plug-In Car Grant’. Transport Secretary Philip Hammond and Business Minister Mark Prisk set out details for the incentive and announced the UK locations that will receive funding in the second round of ‘Plugged-In Places’. From 1 January 2011, motorists will be entitled to a Plug-In Car Grant of up to £5,000 when buying any qualifying low carbon car with CO2 emissions less than 75g/km. Available now are the Mitsubishi i-MiEV, Smart for two electric drive and Peugeot iOn. Early next year the Nissan Leaf, Tata Vista and Citroen CZero arrive. 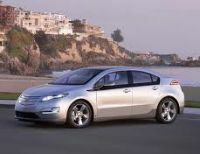 In 2012 they will be joined by the Vauxhall Ampera, Toyota Prius Plug-in Hybrid and Chevrolet Volt. Car manufacturers have been both pro-active and re-active to a vastly changing world in 2010. Their actions have included a quest to reduce C02 emissions, to promote the battery powered car to a dubious consumer and the improved performance in hybrid powered cars though again with challengeable fuel economy results. There has been a strengthening acceptance of the stop+start systems that include power retrieval during braking action as a contribution towards cutting emissions and fuel consumption though little appears to have been claimed for savings on engine wear. When it comes to progress Suzuki has demonstrated a clear intention to become a stronger contender in the mainstream markets with the introduction of the new Swift hatch back that has benefited with co-operation from Volkswagen, the Korean Hyundai (new ix20 small cross over model and the closely related Kia Venga) is proof that both makers are on target to become major players on a world-wide scene. Finally, Audi has proved that operating under a recession can actually generate strongly increased sales for those who come up with the right products. Where some manufacturers have had to cut production Audi claims that all its factories, including in China, are at full stretch with waiting lists! One wish that has come true (for me at least) is that the antiquated London ‘black cab’ is finally being challenged by a modern design based on the Mercedes-Benz Vito. We are delighted to offer the AERBT Christmas quiz with some terrific prizes. It is open to subscribed readers only, with the closing date Sunday 9 January 2010. AERBT’s Editor in Chief’s decision is final. First prize is a night for two at the splendid Sol Melia White House, Regents Park, London, and tickets for the hit show Dirty Dancing (this must be taken by 11 February). 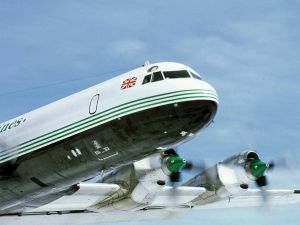 Second prize is a flight for two in a Classic Flight de Havilland Rapide at an airport near you during Air Atlantique’s 2011 national tour, details which will be published shortly on the airline's website. 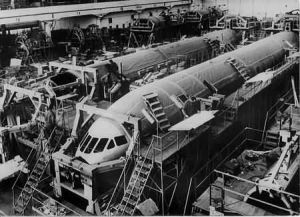 However if the overall winner, who has to be an aviation buff, wants to swop prizes that is up to them. For the runners up we are honoured in receiving the first three pairs of tickets for a new IMAX presentation at London’s Science Museum presented by Boeing. 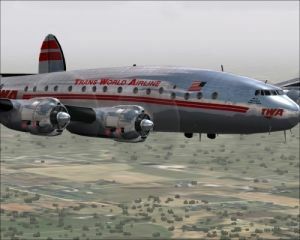 “Legends of Flight” in stunning 3D, after a very successful, run has now come off. 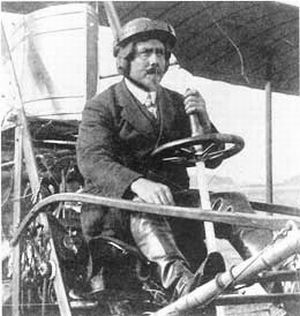 In the age of personality AERBT thought it would be a good idea to add some aviation celebrities to the quiz. Had they been alive today all of them would have made for good paparazzi fodder. There are five photographs, but we want six answers. 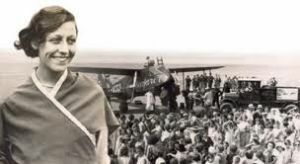 And we would like to make it clear Douglas Bader does not look like Kenneth Moore, or General George Patton (not strictly an aviator) like George C Scott. None of these are in the quiz. There is a simple question to answer to get you started. 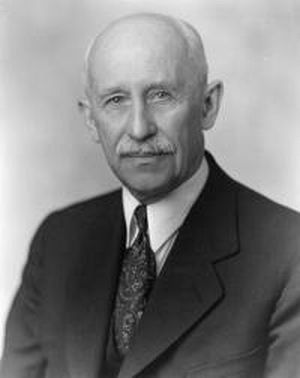 “Who is reputed to have made the first ever flight in Australia?”. The tie breaker is "what makes AERBT a terrific read?" 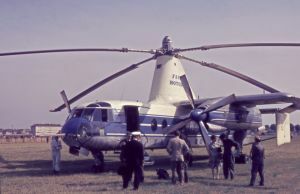 NAME THE AIRCRAFT AND THE PEOPLE? "The winter weather over the past few days has severely disrupted flight operations and kept passengers stranded on the ground, especially at Lufthansa’s home airport in Frankfurt. Since the weather is expected to get even worse, Lufthansa has been forced to operate to a special timetable, in which numerous flights on German and European routes into and out of Frankfurt will have to be cancelled." From Lufthansa media relations. Manchester is expected to get an all year round service to both Chicago and New York following moves by American Airlines. Such was the popularity of AA’s summer seasonal Manchester – JFK route introduced last May, the airline says it will relaunch the flights and turn them into an all year round operation. American will compete with Delta, who are established with a daily service. 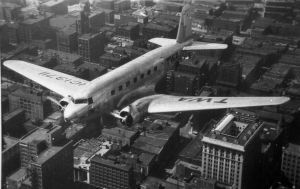 As an additional bonus, the departures in both directions have been re-timed by over an hour so that they will now depart Manchester earlier and leave New York later, making for better onward connections and giving more time in the Big Apple. 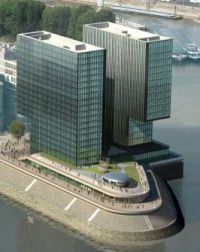 Rezidor Hotel Group is to open two new properties in the United Kingdom. 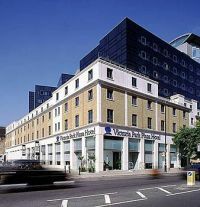 Both the Radisson Blu Hotel, Newcastle, (170 rooms) and the Park Inn, Bournemouth, (172 rooms) will welcome the first guests in 2013. The Radisson Blu Hotel, Newcastle, will be one of the best-located hotels in town, with frontage on the central thoroughfare (Westgate Road) and adjacent to the main train station. As with all Radisson Blu properties free high speed internet access will be provided and the property will offer a restaurant, bar, 400 m2 of conference space and a fitness centre. Parking will also be available. A Chinese-made new generation high-speed train planned to connect Beijing and Shanghai peaked at 300 mph in a test on 3 November, setting a new world record for a passenger express. The old figure was also made by China. Earlier this year the Shanghai – Hanzhou high-speed train ran at 260 mph which is faster than any other high-speed train in operational tests globally. The Beijing – Shanghai line goes through seven provinces and municipalities between the two cities and connects the Bohai Ring and Pearl River Delta, two major engines for China's economy. With 24 stations, it runs for 820 miles from Beijing South Rail Station to Hongqiao in Shanghai. Current travel time is 13hrs +. Aer Arann and Aer Lingus have announced a new Aer Lingus Regional route between Bristol and Dublin from next March with onward connection options to the United States. Earlier this year Continental dropped direct flights to New York Newark. Regional routes will offer customers the convenience of flying from their home airport with through links to Boston, Chicago, New York and Orlando. Connecting passengers will also benefit from the new US Customs and Immigration clearance facilities in Dublin allowing them to arrive in the US as domestic passengers. Aer Lingus Regional, operated by Aer Arann, will fly three return flights on six days each week and two return flights on Saturdays between Dublin and Bristol offering new morning, afternoon and evening frequency options for business customers. The 20 weekly return flights will also boost leisure and tourism travel in both directions between the UK South West’s largest city and Dublin. British Airways has increased its fuel surcharge by £10 on all long haul flights (£20 for a return). In truth passengers will not notice the rise that much as the airline shows an all in price inclusive of taxes, fees, charges and surcharges. BA is also very much into discounting and specialist marketing of flights, Los Angeles from Heathrow for March 2011 recently available for £400 both ways in Economy, but as of today (Monday, 20 December) coming in at £538. With three other carriers competing on the route the prices might come down again. BA said that there would be no surcharge increases on its short haul flights. 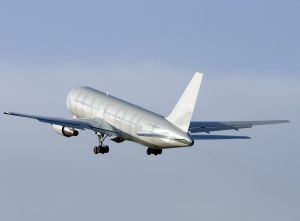 The rise comes only a few weeks after the rise in the UK airport departure Air Passenger Duty (APD) tax. In a separate statement BAA has pointed out that since the Irish government has reduced APD in a bid to attract passengers the UK should do the same. Cuba has reported 2.4m tourists arrived in 2009, with Canada the largest provider at close to 915,000, followed by Great Britain at 172,000 and Spain at 129,000. 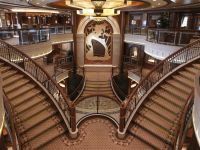 The Cuban National Statistics Office says that Canadian arrivals up to October of this year had increased, while there was little change from Great Britain and a significant drop in Spanish tourism. Cuba reported 52,455 arrivals from the United States in 2009, but those of Cuban origin were included under a wide separate category of "other." Local tourism officials said 80,000 US citizens came in 2008, including Cuban-Americans. 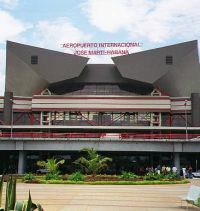 The official trade union weekly, Trabajadores, has run a front-page article on the expansion of the Havana airport terminal that receives US flights, saying it would be completed by this Christmas and double capacity. 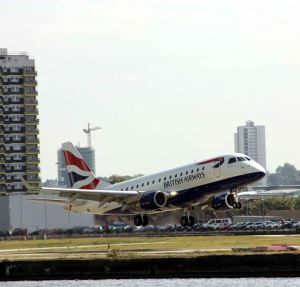 CityJet is to continue the link between London City Airport and Deauville in 2011. 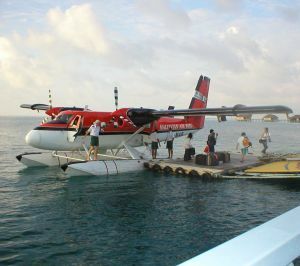 The service is re-introduced on 7 January 2011, with some flights also scheduled for Christmas and New Year. 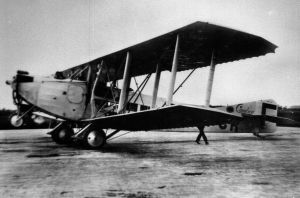 Flights were initiated in June of this year and ran until the end of September. 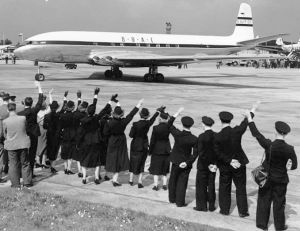 Besides a very useful link for British ex-pats living in Normandy, and French exiles in London, the route has proved popular with connections both ways through London City Airport to other large European cities including Amsterdam, Antwerp, Dublin, Edinburgh, Florence, Luxembourg and Milan. 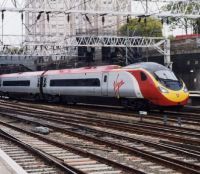 Virgin Rail Group has confirmed that it intends to bid for the West Coast franchise following a written statement to Parliament by Philip Hammond, Transport Secretary. Mr Hammond told MPs that the next franchise would run for 14 years, from 2012 until the planned opening of High Speed 2 (HS2). Virgin has been strongly campaigning for an extended contract. Welcoming the offer Tony Collins, Virgin CEO, said: "Longer franchises lead to more investment, innovation and better services for customers. We are pleased the Transport Secretary has taken the longer-term view which will benefit customers. Virgin is keen to point out that it has doubled the number of customers in the last six years – to 28m. "We intend to submit a strong and deliverable bid to retain the franchise and continue the investment, innovation and customer service that have given us record customer satisfaction scores,” he said. 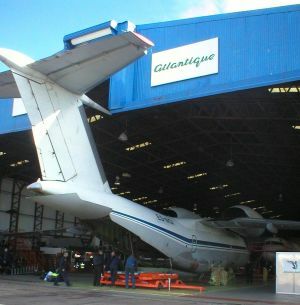 Ecuador "The centre of the earth"
A Future for Business Jets?